You know sometimes you have what you think is a brilliant idea, so you look on t’internet for a bit of inspiration and find that it’s already out there? What started it all off was something my mum was telling me about; she’d seen somewhere about making little bowls out of lace doilies (you can find a good tutorial here.) The idea is, basically, that you use an existing glass dish, cover in clingfilm, place your doily on and smother in PVA glue; so when it dries, you’ll have a cute little solid lacey bowl. Now, I’ve been looking to do some Steampunk-inspired stuff, and have amassed a collection of various bits and pieces of old broken jewellery and watches etc. The only problem is, I’ve been at a loss where to start; I feel I need a single, solid piece to work from, as a base. 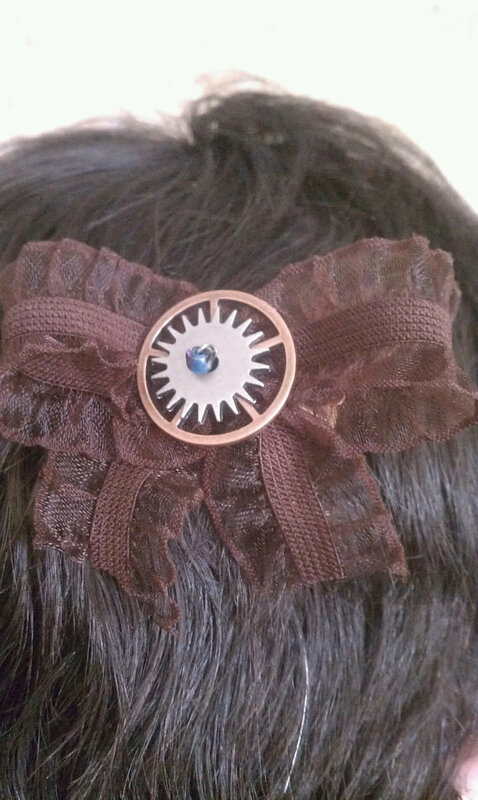 Pretty little bow from tarnisheddanglies. Amazingly gorgeous wrist cuffs from raven666. 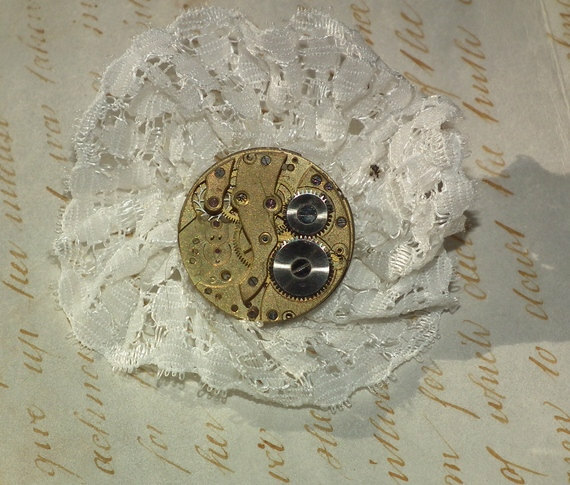 Or how about this adorable brooch from LadyCharis? 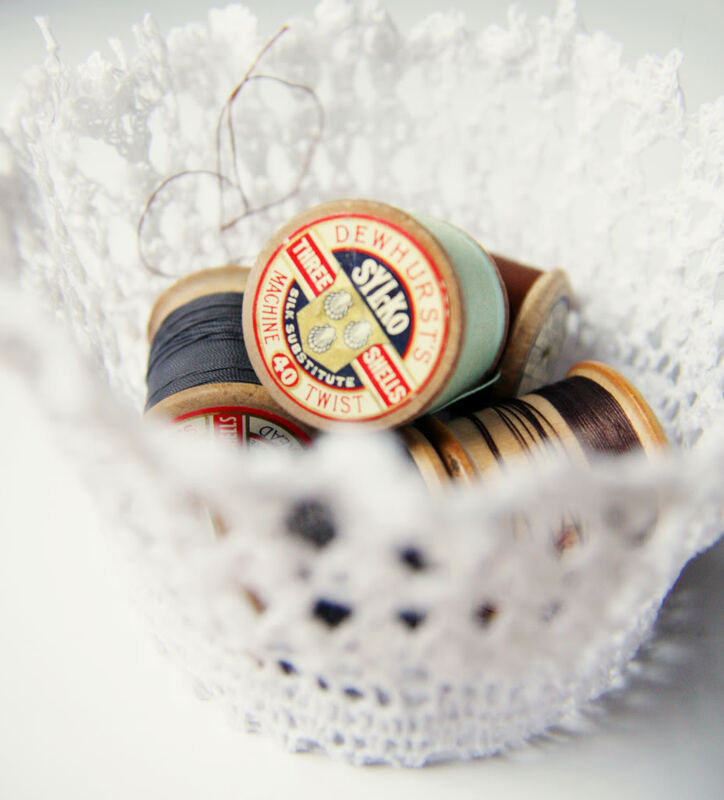 I currently have some lace all glued up at home… can’t wait to try some ideas out! 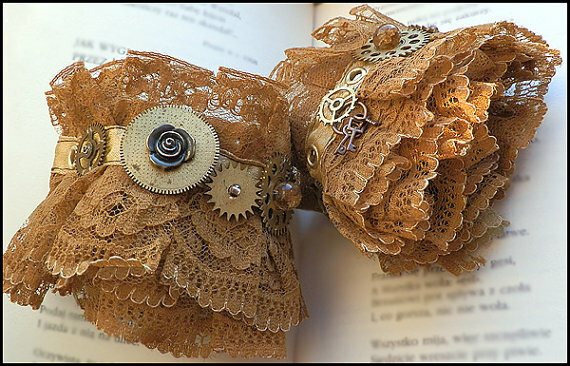 This entry was posted in Craft, Inspiration and tagged etsy, Lace, Steampunk. Bookmark the permalink. Post a comment or leave a trackback: Trackback URL.